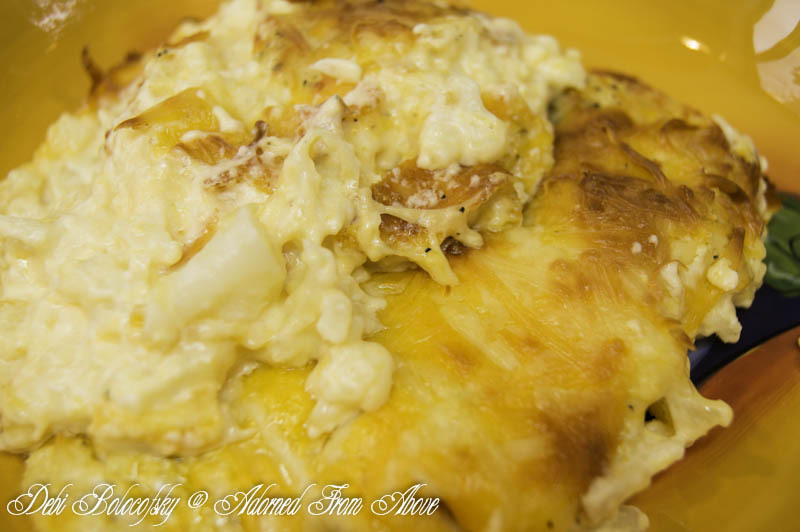 I got this great recipe for Mockafoni and Cheese From Diana Rambles' blog from Diana at Diana Rambles' Mockafoni and Cheese. 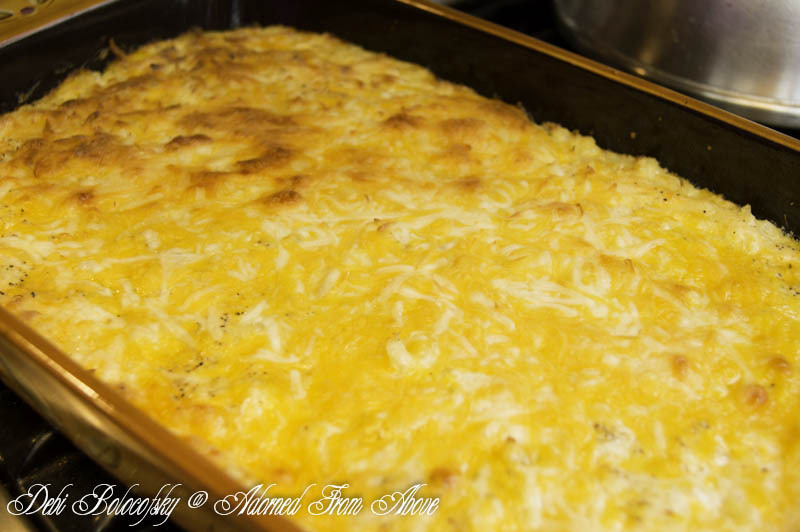 I made this recipe doubting that it would taste like mac and cheese, but I was proven wrong. This is an amazing alternative to real mac and cheese, for those of use who need to be grain free. So here it a is in all it's glory. Preheat oven to 350 degrees and spray a 9 X 13 inch pan with non stick cooking spray. Heat cream cheese in the microwave for 1 minute until soft. Add 2 TB heavy cream and whisk together until well blended. In a large bowl mix cauliflower and the cream cheese sauce. Next add 2 cups grated cheddar cheese and stir until well mixed. Pour into 9 X 13 inch pan and spread evenly in pan. Spread the other two cups of cheddar cheese over the cauliflower. Bake in oven for 30 to 40 minutes. The cheese should be lightly browned in spots. I absolutely love this Mockafoni and Cheese. I can't thank Diana enough for sharing her recipe. I hope all of you love it also. I always love hearing from you. Hi Linda. It was so easy and so good. I would really recommend trying it.